NEW BEDFORD, Mass. — In the aftermath of Hurricane Harvey, Bay Area Regional Medical Center (BARMC) in Webster, Texas, contacted the Massachusetts Health & Hospital Association (MHA) with an urgent request for nurses. 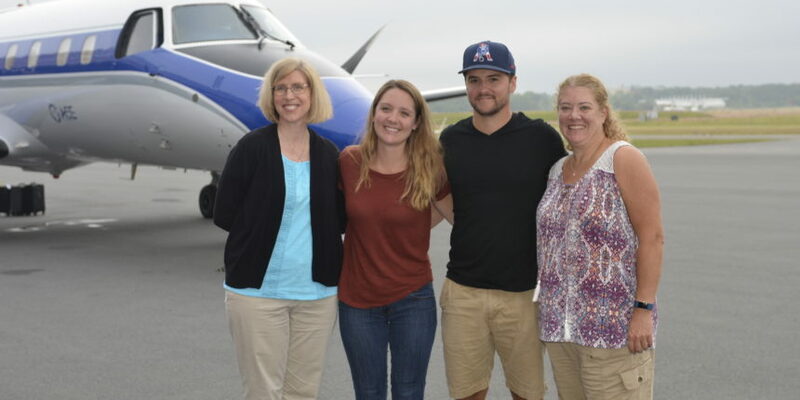 Four Southcoast Health nurses, Michael Diogo, Jennifer O’Brien, Susan J. Pacheco, and Theresa Hemphill responded to the call along with nurses from throughout the state. They spent a week at the hospital filling in for nurses who were victims of the hurricane. While helping out at the hospital filling in for shifts, the four also went directly into the community to help residents salvage items from their damaged homes and assist in the cleaning up process. They also had the chance to go to NRG stadium that served as a temporary shelter. When asked why they wanted to volunteer, the four had similar responses – helping others is simply part of their profession. Although none of them had done anything like this before, they were all happy that they did it. O’Brien voiced that no matter what profession, people have the ability to help others. “If everyone starts helping one another the world would be a better place,” she said. The biggest challenges for them was adjusting to the hospital and dealing with all of the emotions. Hemphill explained how the hospital had different documentation practices and policies. “I appreciate the policies and guidelines that Southcoast Health has a lot more now,” she said. Despite the condition of the city, all four remarked upon the positive atmosphere. Pacheco recalls how host families welcomed them into their homes with open arms. “We were complete strangers to them and stayed in their homes for a week and they were the ones calling us heroes,” she said. She added that they formed a bond with the other nurses from across the state and have already planned a reunion happening later this month.